Hallik et al. 2019. Population Pharmacokinetics and Dosing of Milrinone After Patent Ductus Arteriosus Ligation in Preterm Infants. Soeorg et al. 2018. Genetic Relatedness of Staphylococcus haemolyticus in Gut and Skin of Preterm Neonates and Breast Milk of Their Mothers. Soeorg et al. 2018. Higher intake of coagulase-negative staphylococci from maternal milk promotes gut colonization with mecA-negative Staphylococcus epidermidis in preterm neonates. Germovsek et al. 2018. Plasma and CSF pharmacokinetics of meropenem in neonates and young infants: results from the NeoMero studies. Telling et al. 2018. Multidrug resistant Pseudomonas aeruginosa in Estonian hospitals. Padari et al. 2018. Pharmacokinetics of penicillin G in preterm and term neonates. Pansa et al. 2018. Evaluating Safety Reporting in Paediatric Antibiotic Trials, 2000-2016: A Systematic Review and Meta-Analysis. Bassler et al. 2018. Long-Term Effects of Inhaled Budesonide for Bronchopulmonary Dysplasia. Jõgi et al. 2018. Pertussis and parapertussis in children and adults with a persistent cough: an observational study. Soeorg et al. 2017. Coagulase-Negative Staphylococci in Human Milk From Mothers of Preterm Compared With Term Neonates. Pansa et al. 2017. Evaluating Safety Reporting in Paediatric Antibiotic Trials, 2000-2016: A Systematic Review and Meta-Analysis. Kogermann et al. 2017. Age-appropriate formulations including pharmaceutical excipients in neonatal medicines. Tasa et al. 2017. DosOpt: A Tool for Personalized Bayesian Dose Adjustment of Vancomycin in Neonates. Veigure et al. 2017. A highly sensitive method for the simultaneous UHPLC-MS/MS analysis of clonidine, morphine, midazolam and their metabolites in blood plasma using HFIP as the eluent additive. Neubert et al. 2017. The CLOSED trial; CLOnidine compared with midazolam for SEDation of paediatric patients in the intensive care unit: study protocol for a multicentre randomised controlled trial. Soeorg et al. 2017. The role of breast milk in the colonization of neonatal gut and skin with coagulase-negative staphylococci. Hallik et al. 2017. Dosing of Milrinone in Preterm Neonates to Prevent Postligation Cardiac Syndrome: Simulation Study Suggests Need for Bolus Infusion. Thompson et al. 2017. Global shortage of neonatal and paediatric antibiotic trials: rapid review. Draper et al. 2017. Variability in Very Preterm Stillbirth and In-Hospital Mortality Across Europe. Soeorg et al. 2016. Molecular epidemiology of Staphylococcus epidermidis in neonatal intensive care units. Veigure et al. 2016. A highly sensitive method for the simultaneous UHPLC-MS/MS analysis of clonidine, morphine, midazolam and their metabolites in blood plasma using HFIP as the eluent additive. Takkis et al 2016. Signal Enhancement in the HPLC-ESI-MS/MS analysis of spironolactone and its metabolites using HFIP and NH4F as eluent additives. Raiskila et al. 2016. Corrigendum to "Parent and nurse perceptions on the quality of family-centered care in 11 European NICUs". Padari et al. 2016. Coagulase negative staphylococcal sepsis in neonates: do we need to adapt vancomycin dose or target? Folgori et al. 2016. Harmonisation in study design and outcomes in paediatric antibiotic clinical trials: a systematic review. Brauer et al. 2016. Plasmid with colistin resistance gene mcr-1 in ESBL-producing Escherichia coli strains isolated from pig slurry in Estonia. Germovsek et al. 2016. Development and Evaluation of a Gentamicin Pharmacokinetic Model That Facilitates Opportunistic Gentamicin Therapeutic Drug Monitoring in Neonates and Infants. Nellis et al. 2016. Product Substitution as a Way Forward in Avoiding Potentially Harmful Excipients in Neonates. Parm et al. 2015. Gut colonization by aerobic microorganisms is associated with route and type of nutrition in premature neonates. Metsvaht et al. 2015. High variability in the dosing of commonly used antibiotics revealed by a Europe-wide point prevalence study: implications for research and dissemination. Bassler et al. 2015. Early Inhaled Budesonide for the Prevention of Bronchopulmonary Dysplasia. Carbajal et al. 2015. Sedation and analgesia practices in neonatal intensive care units (EUROPAIN): results from a prospective cohort study. Mulla et al. 2015. An observational study of blood concentrations and kinetics of methyl- and propyl-parabens in neonates. Garner et al. 2015. Observational infant exploratory [(14)C]-paracetamol pharmacokinetic microdose/therapeutic dose study with accelerator mass spectrometry bioanalysis. Turner et al. 2015. Pediatric microdose and microtracer studies using (14) C in Europe. Nellis et al. 2015. Potentially harmful excipients in neonatal medicines: a pan-European observational study. Mitt et al. 2014. Five-year prospective surveillance of nosocomial bloodstream infections in an Estonian paediatric intensive care unit. Turner et al. 2014. Risk assessment of neonatal excipient exposure: Lessons from food safety and other areas. Lutsar et al. 2014. Treatment option for sepsis in children in the era of antibiotic resistance. Romantsik et al. 2014. The effects of olfactory stimulation and gender differences on pain responses in full-term infants. Jõgi et al. 2014. Seroprevalence of IgG antibodies to pertussis toxin in children and adolescents in Estonia. Nellis et al. 2014. Comparison of two alternative study designs in assessment of medicines utilisation in neonates. Lutsar et al. 2014. Current management of late onset neonatal bacterial sepsis in five European countries. Hallik et al. 2014. Different course of lung disease in two siblings with novel ABCA3 mutations. Drell et al. 2014. The development of gut microbiota in critically ill extremely low birth weight infants assessed with 16S rRNA gene based sequencing. Soeorg et al. 2013. Genetic relatedness of coagulase-negative Staphylococci from gastrointestinal tract and blood of preterm neonates with late-onset sepsis. Turnet et al. 2013. European Study of Neonatal Exposure to Excipients: An update. Lass et al. 2013. Antibiotic prescription preferences in paediatric outpatient setting in Estonia and Sweden. Toome et al. 2013. 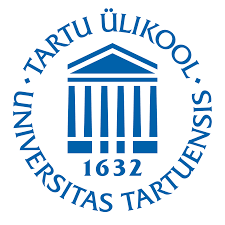 Follow-up study of 2-year-olds born at very low gestational age in Estonia. Garazzino et al. 2013. New antibiotics for paediatric use: A review of a decade of regulatory trials submitted to the European Medicines Agency from 2000-Why aren't we doing better? Oeser et al. 2013. Clinical trials in neonatal sepsis. Brilene et al. 2013. In vitro synergy of oxacillin and gentamicin against coagulase-negative staphylococci from blood cultures of neonates with late-onset sepsis. Versporten et al. 2013. The antibiotic resistance and prescribing in European Children project: a neonatal and pediatric antimicrobial web-based point prevalence survey in 73 hospitals worldwide. Soeorg et al. 2013. Group A rotavirus genotypes circulating prior to implementation of a National Immunization Program in Estonia. Toome et al. 2012. Changes in care and short-term outcome for very preterm infants in Estonia. Lass et al. 2012. Hospitalised neonates in Estonia commonly receive potentially harmful excipients. Esposito et al. 2012. Antibiotic Therapy for Pediatric Community-Acquired Pneumonia: Do We Know When, What and For How Long to Treat? Padari et al. 2012. Short versus long infusion of meropenem in very-low-birth-weight neonates. Parm et al. 2011. Mucosal surveillance cultures in predicting Gram-negative late-onset sepsis in neonatal intensive care units. Parm et al. 2011. Risk factors associated with gut and nasopharyngeal colonization by common Gram-negative species and yeasts in neonatal intensive care units patients. Yakkundi et al. 2011. Use of dried blood spots to study excipient kinetics in neonates. Lass et al. 2011. Off label use of prescription medicines in children in outpatient setting in Estonia is common. Lass et al. 2011. Drug utilisation pattern and off-label use of medicines in Estonian neonatal units. Heidmets (Kõrgvee) et al. 2011. Blood loss related to participation in pharmacokinetic study in preterm neonates. Lutsar et al. 2011. Meropenem vs standard of care for treatment of late onset sepsis in children of less than 90 days of age: study protocol for a randomised controlled trial. Metsvaht et al. 2011. Ampicillin versus penicillin in the empiric therapy of extremely low-birthweight neonates at risk of early onset sepsis.